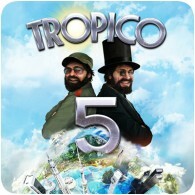 The sequel to Tropico 5 has been announced, along with a teaser trailer. The dictator-sim will be releasing sometime in 2018 for the PS4, Xbox One and PC, although details are still scarce. The teaser trailer does reference current events, including UK leaving the European Union. El Presidente makes a return, as seen in the trailer, but it looks like this time around he has modern technology at his disposal, like a smartphone. You can expect more details to be released in coming weeks. The previous title, Tropico 5, was given away as part of May 2016’s PlayStation Plus line-up. If you haven’t played the game, do give it a go.